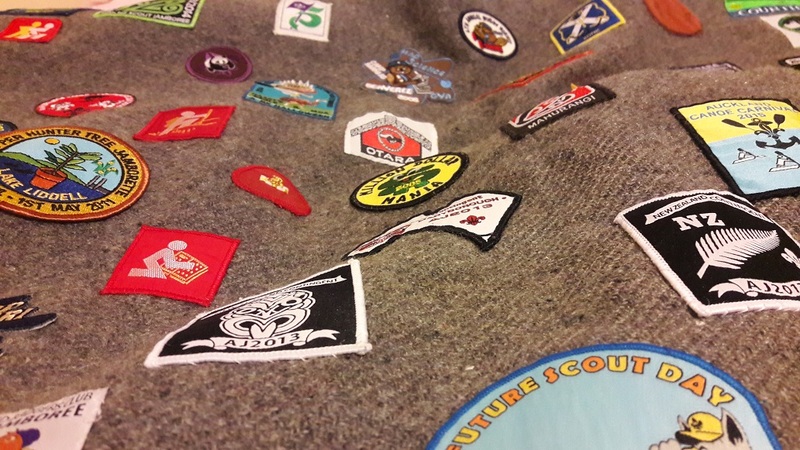 A campfire blanket has three purposes – it keeps you warm around the campfire, it can be used for extra warmth while sleeping, and it’s a good place to display badges earned or traded over the years. Some blankets are just a big rectangle, and some are poncho style, with a head hole cut in the middle. They can be any colour, but plain colours like grey, dark green or blue seem to be the most popular. These have the advantage of showing off the badges to their full effect. Campfire blankets must be flame retardant. Do not get a 100% polyester blanket or a fleece. Whist expensive, 100% wool is best. If it’s a wool blend, make sure it’s mostly wool and the label says it is flame retardant. Campfire blankets can be bought at Scouting Direct. They can also be found at Army surplus stores, or sometimes on TradeMe.